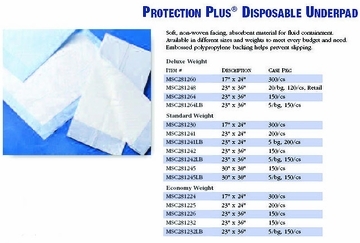 Eliminate waste with Medline Protection Plus® disposable underpads with polymer. These odor-reducing pads lock-in fluids, virtually eliminating the need to stack pads to prevent leaks. 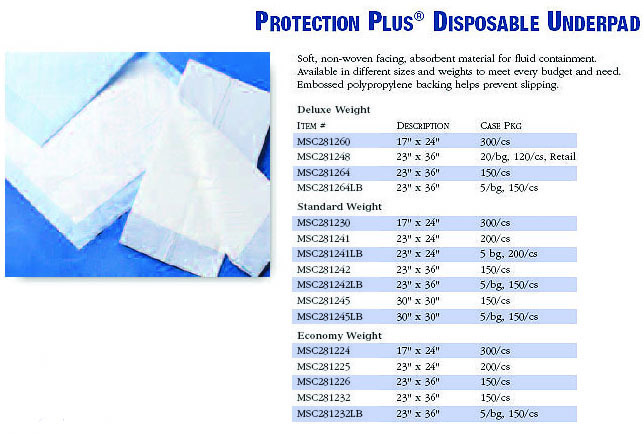 Polymer underpads available in deluxe or standard weight. Polymer underpad with wings tucks into the sides of the mattress. Also available are airstream breathable underpads or underpads with wings.